Bright and bold accessories are fun but simple pieces in classic color-ways are what we love the most. Take this TRIWA watch, for example. It will never go out of style. The face is large without being overbearing and the gold accents make a statement but don't look obnoxious. It works just as well on a man as it does a woman. 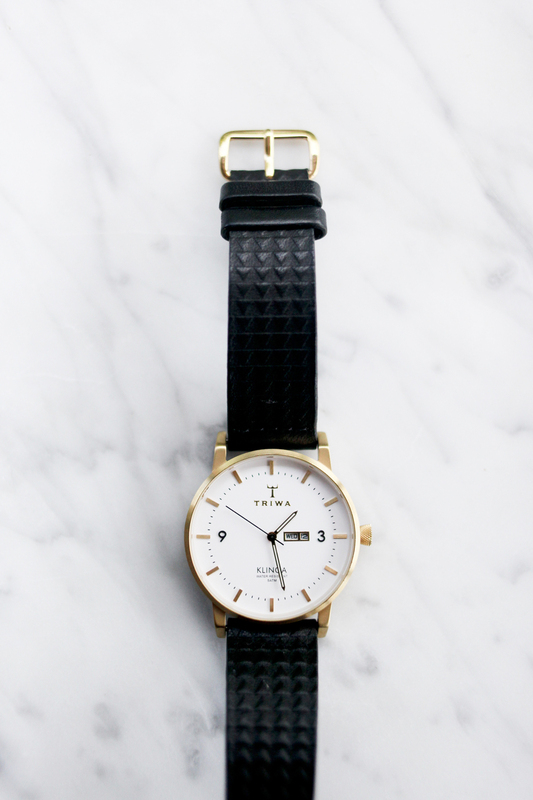 It's the perfect, wear anytime/anywhere, watch. 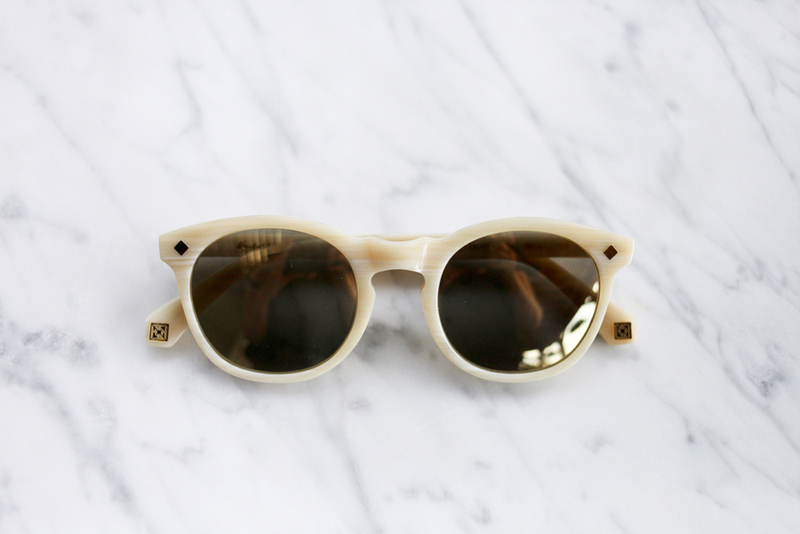 These glasses by Hardy Amies are also a keeper. I've had them for years and keep coming back to them season after season. They have a retro old-school glamor about them but not in an obvious played out sort of way. They have little details that make them feel special (the brand's signature square monogram sits along each arm) but they are incredibly discreet. Quality craftsmanship and attention to detail are what make a brand compelling. Much like this USA greeting card, it might not look like anything special at first but when you dig a little deeper there is a whole history and process behind its creation. That is exactly what we are looking for in our essentials. Sunglasses by Hardy Amies via Task PR, watch by TRIWA via Sane Communications and USA postcard from I AM HERE found at the Firecracker Press print fair.